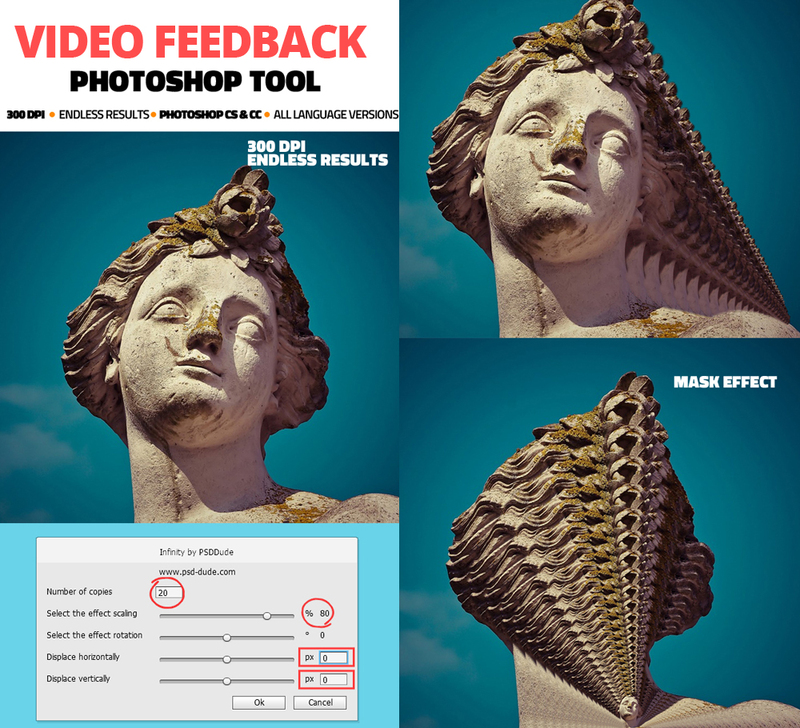 This set contains a Photoshop script and a Photoshop action that will allow you to create video feedback photo effects. 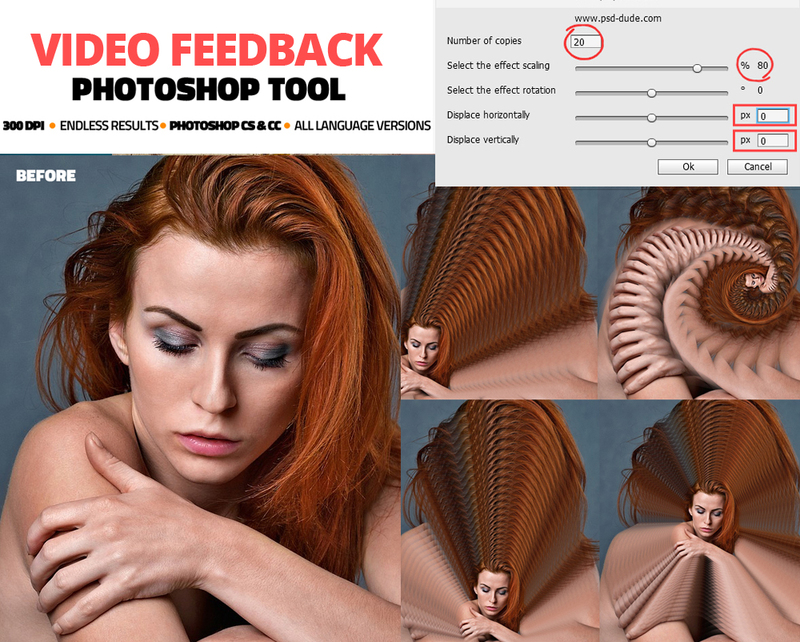 You can also create Photoshop image sequence. You can obtain endless photo effects; this tool creates 300 DPI results so you can use it for print. You can change the final result using the customization action.